Can I just say how much I love this top?! Its so different then so many things that I have. When I saw it on Spiegel I knew I needed to have it. I love the fuchsia color and the contrast with the black. I love the silhouette it has, it really is flattering and I feel like anyone would look good in it! And the sleeves are also just so pretty! I paired this top with another favorite color of mine to wear, black of course! I love pairing pops of color with some traditional black pieces. I got these shoes from Whiskey & Lace and I'm totally in love with them, I really think they add so much to this outfit. I'll be talking more about my love of this shop later this week but for now I have a pretty amazing giveaway for y'all!! 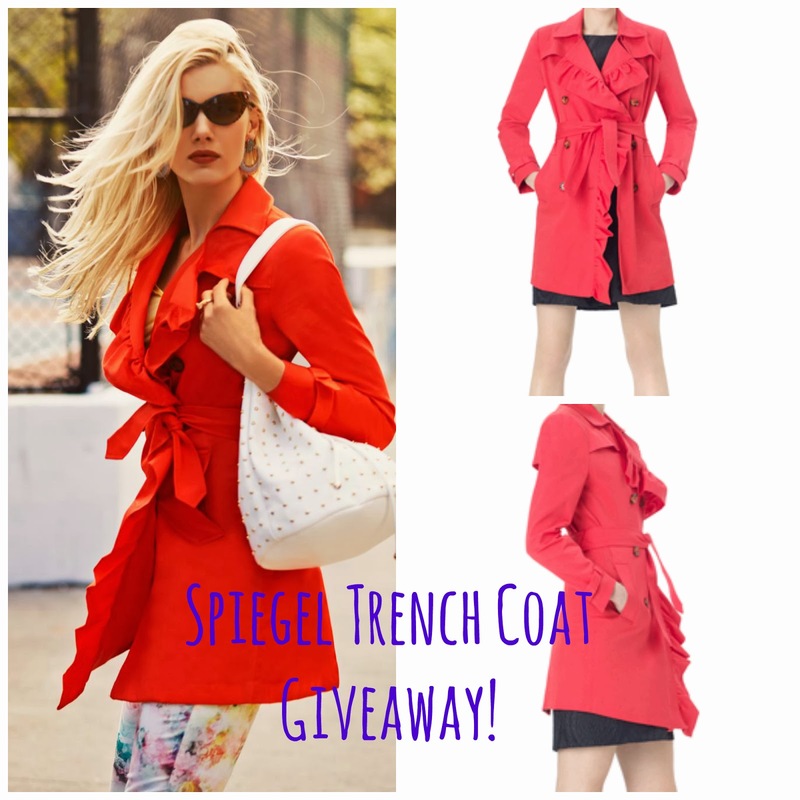 Spiegel is giving away an adorable trench coat that I want badly!! But y'all should all enter for your chance to win it:) Just enter on the rafflecopter widget below!! Good Luck!!! No I'm sorry :( its only open to US readers! Love your purple top! So pretty! I have a pair of those wedges in coral! So cute! You look amazing! That top is to die for and I love the contrast of Purple and Black.